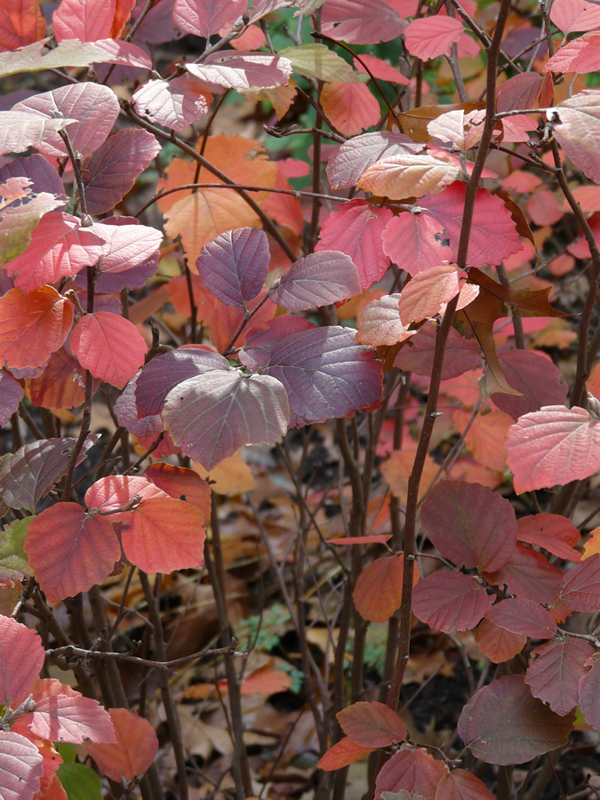 fothergilla as the leaves change to red, orange, maroon or yellow, often all on the same plant! 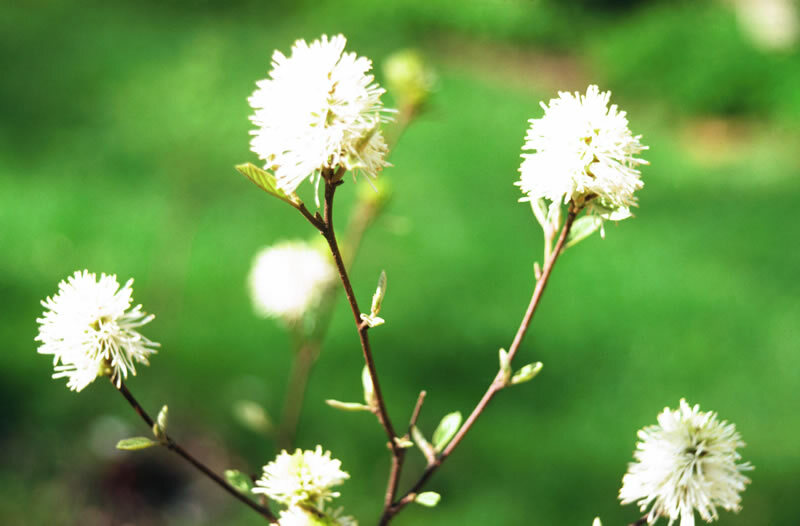 It is a multi-stemmed, suckering, thicket-forming shrub that grows only 3 to 5 feet tall, a trait that makes it perfect for grouping. Fothergillas are slow growing and require little pruning. 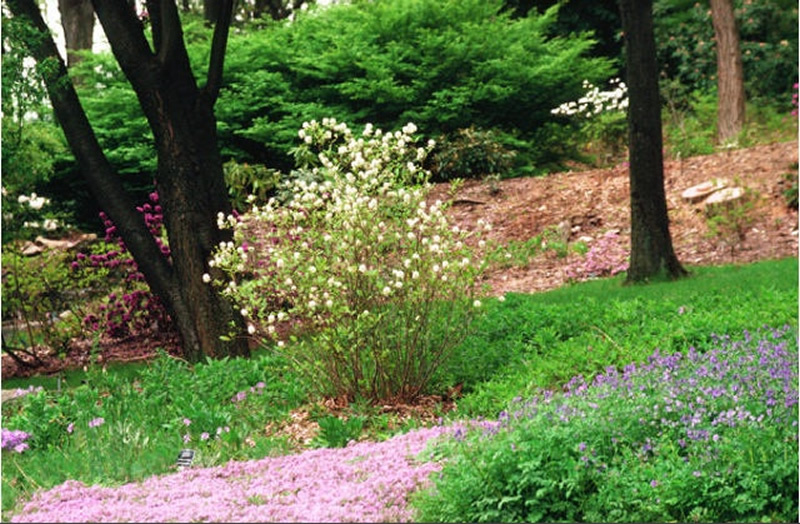 They prefer moist, well-drained, slightly acidic soils and have the best flowers and fall color when planted in sunny locations.